If there is one thing that is important to all virtual assistants, it is the terms and conditions contract. Any remote business is based on trust. The fact that you are not in direct contact with the client means that you will need to guarantee the trust relationship between you and the client using a terms and conditions contract. No matter how good a client sounds, always protect yourself using a contract. This is because some clients will sweet talk you into doing a lot of work for them and then either delay the payment or decline to pay altogether. If a client is genuine, they will not have a problem signing a terms and conditions contract. However, if you find that they are dilly-dallying around the issue of terms and conditions, run for the hills. There are very many chilling stories about how new and inexperienced virtual assistants got conned into doing a lot of free work. You can avoid misunderstandings with clients by finding a contract template on the internet and then customising it to fit the services you offer as a virtual assistant. You don’t want a situation where a client turns nasty after you asked for your payments. How do you negotiate a comfortable pay rate for both you and your client? Grab your free cheat sheet. Click here! If a misunderstanding arises during the course of executing the terms of the contract, you have the signed contract to refer to. Make sure you send a copy of the contract to the client so that he knows what you have agreed before you set out to work. The contract should clearly state what is expected of both of you so that neither of you can claim that they were not aware of what was going on. Acts as evidence – A contract acts as evidence that your client has accepted your terms and conditions for working for them. It is an indication that they have read and completely understood what is expected of both of you. Commitment to confidentiality – A contract binds both the client and the virtual assistant to confidentiality. 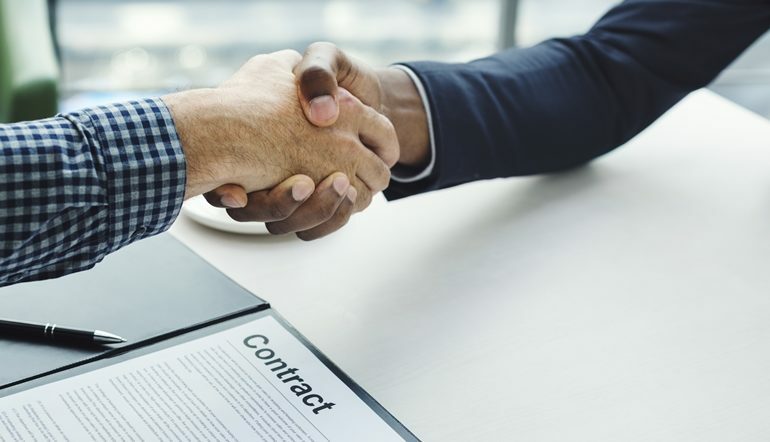 It is an indication that both parties take the work seriously and that they will continue in the business as long as the terms and conditions as provided for by the contract are adhered to. Professionalism – That both the VA and the client have signed a contract is a show of professionalism in the conduct of their work relationship. Copyright protection – A contract protects the virtual assistant from copyright legal proceedings since the work was done on behalf of the client. The virtual assistant is forced to go out of the way to ensure that the client is protected from copyright lawsuits. Payment and timelines – A contract clearly states the duration in which the virtual assistant needs to deliver the work and the amount of money that he expects to be paid if he does not breach the terms of the contract. Written documentation – If the relationship between the virtual assistant and the client goes south, you have written evidence of the terms of your relationship. However unfortunate such a situation might be, it is always prudent to have a written contract. Be very afraid of customers that are unwilling to sign a contract or asks you to remove a clause that is important to your work. For example, if a client asks you to remove charges on an overdue invoice, be very sure that they are the kind of customers who delay payments. They are just looking for a way to minimise the financial penalty for their late payments. A decent client will not have a problem signing a contract. Every time you get a new client, ensure that you send your terms and conditions contract for them to read, understand and sign. It is imperative that you explain your terms and conditions, especially the payment terms verbally so that they are clear what is expected of them. Append your digital signature on the contract and then email it to the client for them to also sign. Once the client has appended their signature, they will need to send it back to you so that you can convert it into a pdf and then send back the pdf copy of the contract that has been signed by both of you. If you are lucky enough to be working in the same geographical area as your client, get two copies of your contract, take them to the client office, have them both signed by both parties, and leave one copy with their client. Although you can get a template of a contract on the internet, it is more advisable to get a watertight contract and other legal obligations from a law firm. Alternatively, you can retain a legal consultant to help you with legal matters whenever they arise. Click here to download your free salary negotiation cheat sheet.